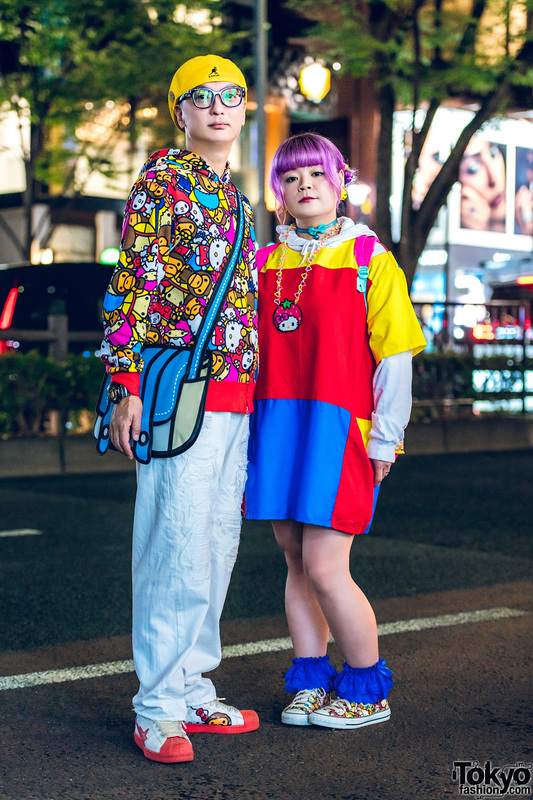 Harajuku girl in off-the-shoulder top, jeans with frayed hem, studded leather slip ons, bucket hat, sunglasses, braided belt, and a fringe bag. Harajuku girl wearing an all black outfit with a ribbed cutout shoulder top, a maxi jumper skirt, black socks, pointy heels, a newsboy cap, and a fuzzy white handbag. 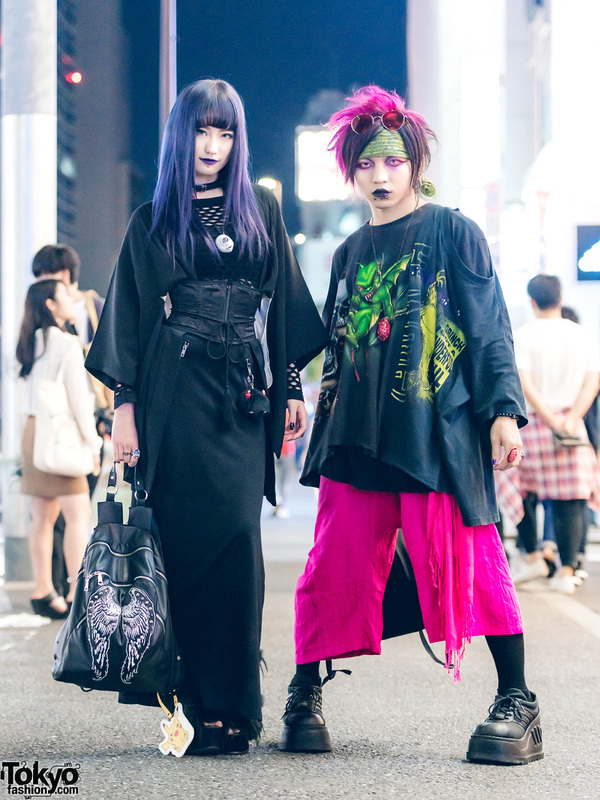 Harajuku girl in all black fashion featuring an oversized cutout hoodie, fishnet tights, black socks, platform shoes and Disney purse.